Using the technology developed with the surfboard production, we were able to realize our own designs, in a customized production. 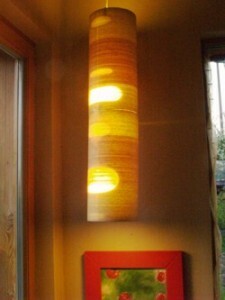 The stool and the lamp are examples where a special developed bamboo sandwich was applied on a foam-core. 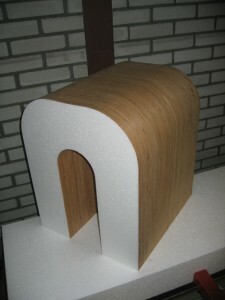 The production of large pieces of art or brand communication mostly includes a fair share of development and engineering, in order for the product to be fast and safe installed at location.